Chamber opera is alive and well in Vancouver. 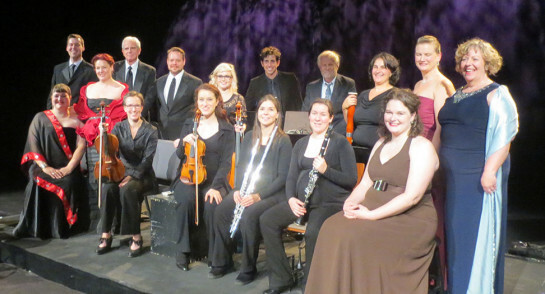 2015 included City Opera’s first-ever tour – taking Pauline to Quebec – and a special grant of $127,000 for Missing Women from The Vancouver Foundation. Thanks to the BC Arts Council, we were able to complete our first Strategic Plan, 2015 – 2020. Thanks to the City of Vancouver, we now receive an annual Operating Grant of $15,000. 2016 looks to be even better, with the world premiere of The Lost Operas of Mozart coming in October, and workshops starting in the spring for Missing Women. And in March, our colleagues at Long Beach Opera in California are producing Fallujah. All this – plus an enhanced run of public concerts across Metro Vancouver – is coming. We hope you’ll join us at these events, and please enjoy the happiest of holidays. 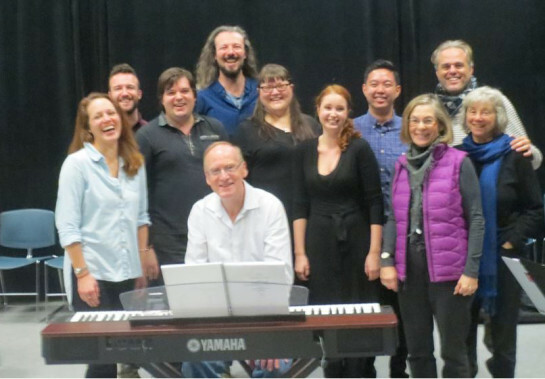 City Opera Vancouver is a professional chamber opera company. We produce work from the rise of the genre through to creation of new opera in our own time – specializing in Canadian themes and artists. We also present recitals and concerts, building our brand and widening our audience. We see in chamber opera an affordable advantage, a unique intimacy, and much the future of our art. After coaching here, we took the original cast to Quebec for rehearsal with the new music ensemble Erreur de type 27, and on 16 October presented Pauline in concert as part of le festival Québec en toutes letters at Le Grand Théâtre du Québec. It was a great success, paid for – entirely – by the Festival. City Opera thanks General Director Bernard Gilbert, and all of his colleagues, for their kind and generous welcome. At the Carnegie Centre on 14th and 15th November, we presented a preview of our next mainstage production. We enjoyed full houses and a great reception both times, and thank the BC Gaming Commission and the BC Arts Council for their generous support of these free public concerts. 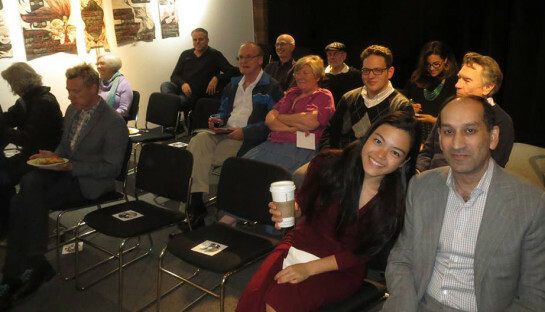 These were our 28th and 29th public events in the DTES. It was a complicated process but, after three days in audition at Tom Lee Concert Hall, we have cast three-operas-in-one. Taking multiple roles are sopranos Robyn Dreidger-Klassen and Elaina Moreau; mezzo Rose-Ellen Nichols; tenor Frédérik Robert; baritones Samuel Chan and Alan McDonald; and bass Michael MacKinnon. The speaking role of the Impresario will be announced at a later date. Co-Producers: Janet Lea and Nora Kelly. Stage Director: Alan Corbishley. Music Director: Charles Barber. Company coach and pianist: David Boothroyd. Our Lost Operas preview video is online. Thanks to an extraordinary grant of $127,000 from The Vancouver Foundation, our next commission is off to a very strong start. Librettist Marie Clements is working on the first draft of the text, together with renowned dramaturge Paula Danckert. It will go to a series of public text-only workshops, starting in March 2016. The composer will be selected in an anonymized jury process held at the Canadian Music Centre in April 2016. A second set of workshops, testing the piano-vocal score as it evolves, will follow throughout 2016 and 2017. These will also be open to the public. This new chamber opera will open as part of The Heart of the City Festival on 1 November 2017, at an invitation-only event for DTES families. It will be followed by a five night public run at the York Theatre, beginning Friday 3 November 2017. 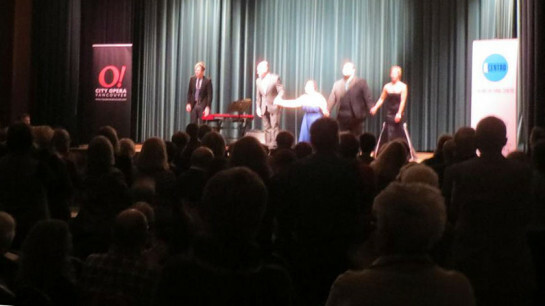 We gave our fourth concert at Il Centro: the Italian Cultural Centre on Wednesday 28 October. Featuring soprano Shadan Saul, mezzo Barbara Towell, tenor Sunny Shams, baritone Andrew Greenwood, pianist Sean Bayntun, and host Tom Durrie, we offered some of the greatest Italian music of all time to one of the best Il Centro audiences of our time. In 2016, we will be giving three more concerts at Il Centro, and thank them moltissimo for their kind invitations to return. It is always a joy to sing at Il Centro. held on 17 September 2015 at the Canadian Music Centre, Society members heard presentations from Alan Corbishley and Marie Clements, received and approved Minutes and Financial Statements, accepted our new Strategic Plan 2015 – 2020, and elected directors Janet Lea (president), Douglas Berg (vice-president), Helen Song (secretary), Shamsh Kassam (treasurer), Jaap Hamburger, and Juliana Mah to our Board. Diane Tucker serves as Privacy Officer, and Janet Lea as Artistic Administrator. Nora Kelly and David Boothroyd serve on the Artistic Committee. All of our concerts in the DTES are free. Many of the concerts we give across Metro are also free. And our artists are paid professional fees. Chamber opera on the mainstage is even more expensive. The budget for LOST OPERAS is just over $200,000 – and the total cost of MISSING WOMEN, including commission and workshops, is about $400,000. Can you help? We know you have many worthy causes to consider at this time of year. If you like what we do, and the opera we create, we would be delighted if you might consider us. Any amount is gratefully received, and federally receipted. In either case, please accept our thanks for everything you help make happen.